In an effort to refrain from spoiling too much for you, I'll give you just the basics. Anne is back on the island, back at the school, and face to face with a new headmaster who is scary as hell (no pun intended. Okay. Pun intended) but also, to Anne's extreme annoyance, devastatingly attractive. Things get weird when the charming, odd, headmaster takes a liking to Anne and asks to be her mentor. Like she has time to deal with another demon! She's already got her hands full trying to deal with Ben and his infuriating lack of will to survive the Big V. With the fate of friends and foes resting uncomfortably in her hands, Anne has to get down and dirty to make sure that they all have a chance, especially Ben, no matter the consequences. I read the first of the V trilogy books earlier this year, also as an ARC. My expectations were low for the first title, as I'd seemed to have had a string of so-so books right before then. 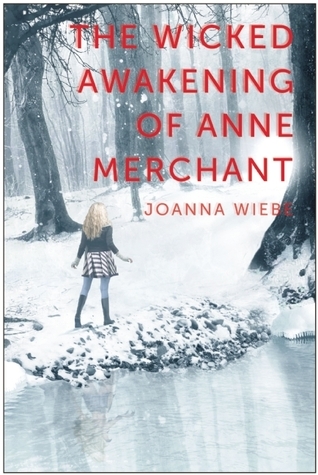 After the first few chapters of "The Unseemly Education of Anne Merchant", I guessed that I was in for a wild ride. I was not wrong. When I got the chance to read this second book I wasted zero time. I expected this book to be as thrilling as the first, so it was no surprise that only the reality of 1am and an early morning the next day could force the book from my hands. Intelligent, dark, and in some cases so disturbing or disgusting that I made faces my Mr. Darcy will not soon forget. The meshing of mythology, philosophy, and the questions surrounding personal identity created a work that is thought provoking, entertaining, and creepy as an asylum basement. There's a lot going on in this book, and I admittedly felt frustrated a few times with how slowly things are revealed to the reader, though most of it was well worth the wait. The conclusion was a bit slapdash but left plenty of space open for a third title. I was a bit taken aback by how brutal this second book was, but both violence and sexuality were pushed just close enough to (but still far enough from) the "graphic" line for the author to make her point and have readers both grimacing and fanning themselves in intervals. An edgy, interesting, and compelling second book. Will definitely be reading the third.